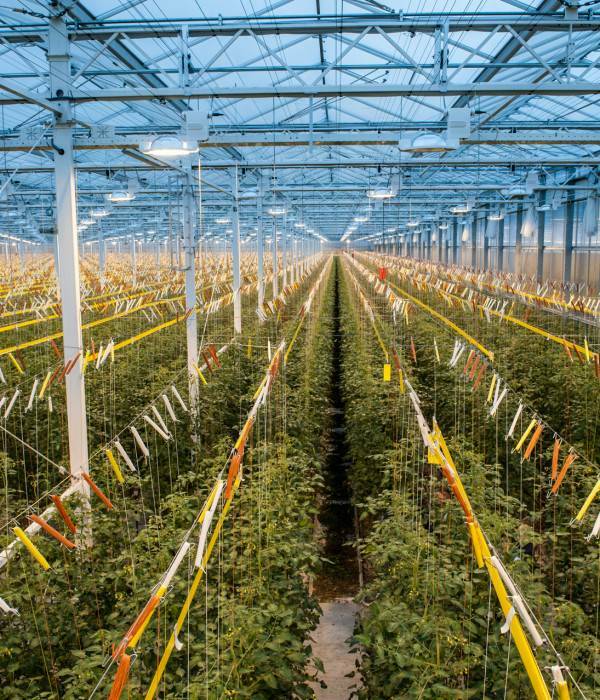 As more and more growers want to bring their product to market all year around, the lighting in greenhouses has become an increasingly more important aspect. By means of supplying the right lighting in the greenhouse, optimal growth can also be achieved in the darker months of the year. The amount of light that a plant needs, differs with every cultivation. While tomatoes need a lot of light and radiation heat, lettuces usually only require light and actually fare badly when exposed to radiation heat. We provide solutions with SON-T lamps as well as LED lighting and hybrid systems. Together with our skilled professionals, you will find the best solution that yields optimal returns. As a comprehensive specialist, we house a lot of knowledge and can create clever combinations that are also very interesting from a cost point of view. Combining the lighting with the right ventilation and operating system, might be one such smart solution. As the horticultural partner of Philips, we use their quality products as well as their knowledge and developments. This way, we can instantly use the latest, most innovative pieces of technology.